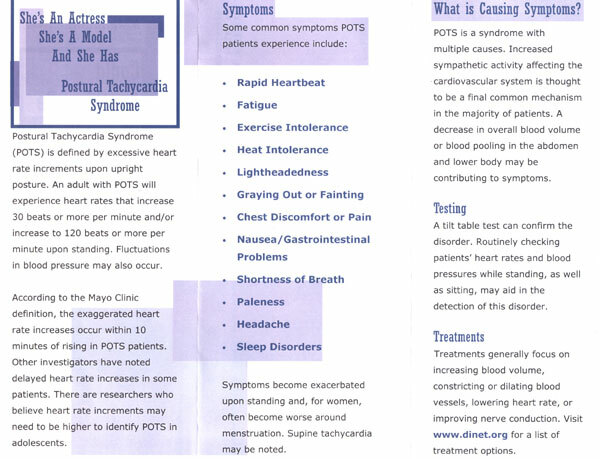 How many doctors did you see before you were properly diagnosed with postural orthostatic tachycardia syndrome (POTS)? Each of you with POTS has been through a time when you were undiagnosed or misdiagnosed. Do you remember how upsetting it was when no one could figure out what was wrong with you? You probably even remember the faces and names of the doctors who were unable to correctly diagnose you, or worse yet, misdiagnosed you. Now, with DINET, you have a chance to help educate those doctors. DINET has created an educational brochure about POTS geared toward physicians. As a DINET member, you have the opportunity to submit the names of up to five doctors you would like to receive this educational brochure. 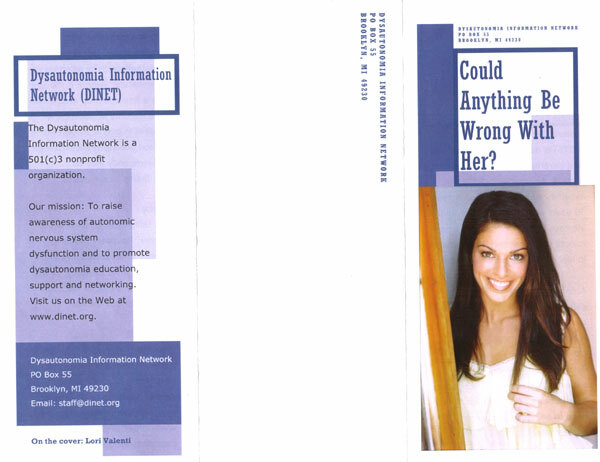 To have a brochure sent to a physician, please email dinetbrochures@gmail.com.